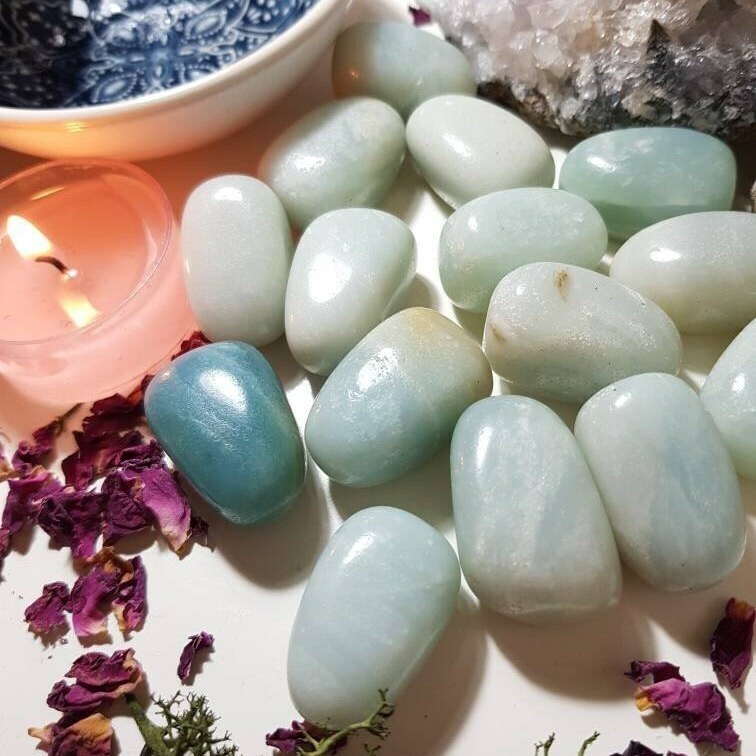 A powerful throat chakra stone, the Amazonite healing properties help you move beyond the fear of confrontation or judgment so you can freely pursue and express your true self. The filters of society, like gender roles and cultural expectations, often cloud inner truth, but Amazonite properties help guide you to a more genuine plane of existence. 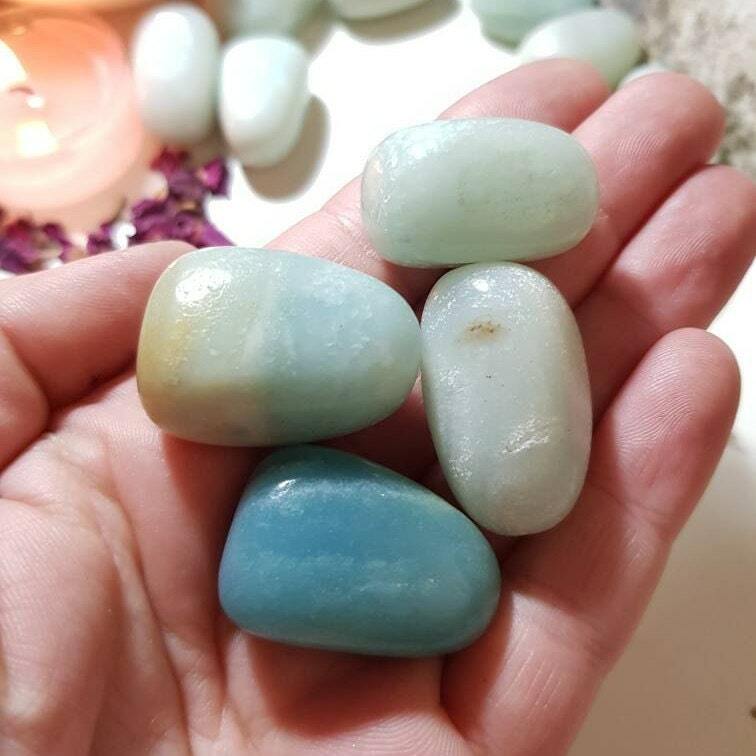 Amazonite has healing powers to help with physical ailments, emotional issues, and in Energy Healing and chakra balancing. 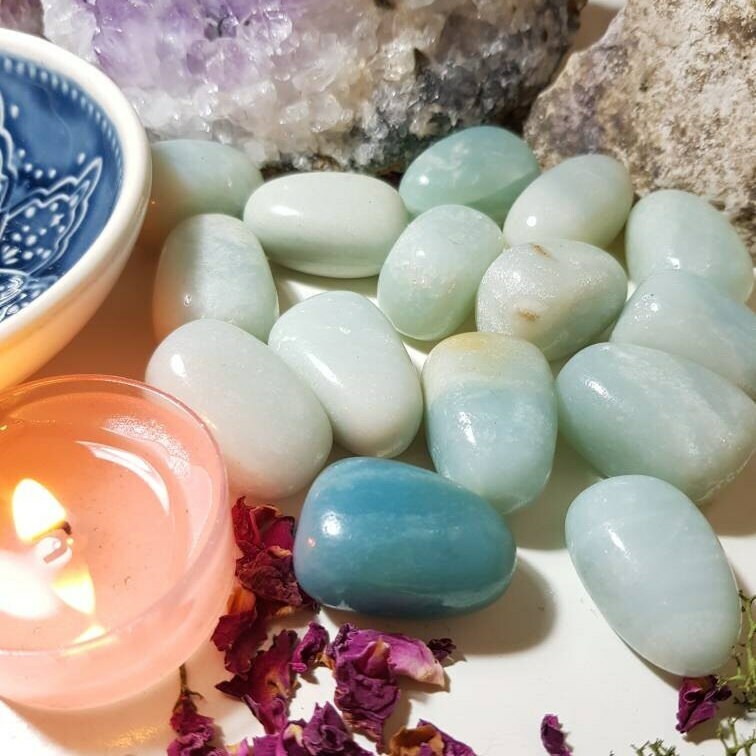 Amazonite crystal therapies are primarily associated with filtering out stresses, healing traumas, and soothing energies in the home and workplace.